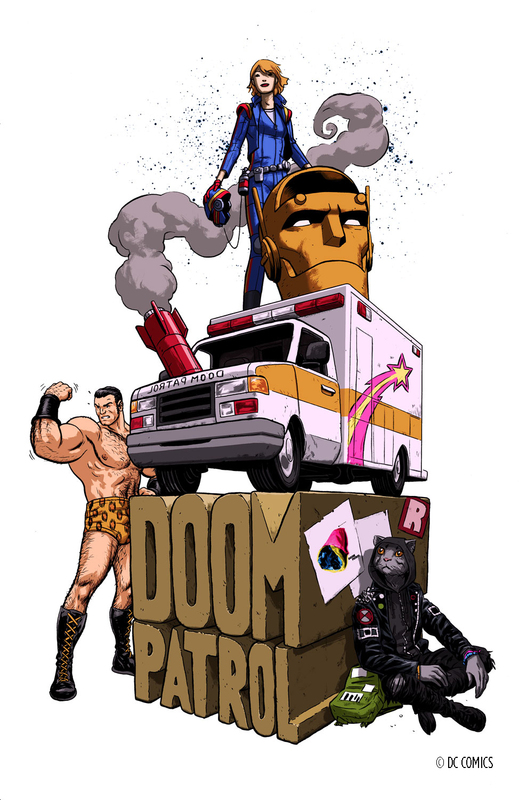 Doom Patrol #1: A Comic For A Dangerous Human? It’s been a long time since I picked up a DC title, a very very long while. However something inspired me to give Doom Patrol #1 from new DC imprint ‘Young Animal’ a shot. Young Animal is supposed to be like the edgier, quirkier, “indie” feel of the DC universe. 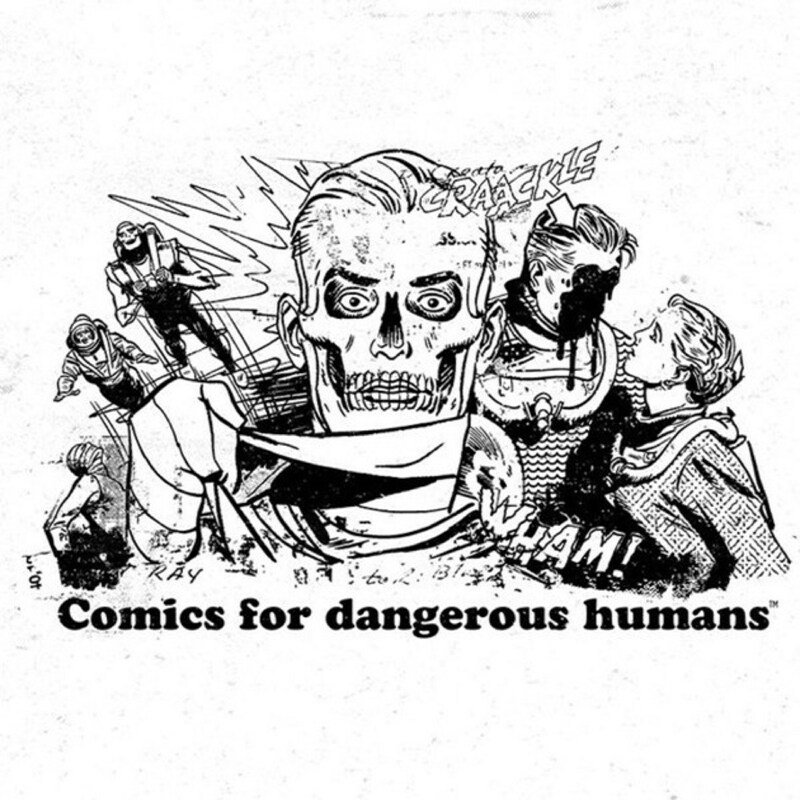 It’s also self proclaimed as ‘comics for dangerous humans’. I guess what made me gravitate to try it was one of the several covers done by a personal favorite artist of mine, the legendary Brian Bolland and yearning for a cool superhero title to get into. So was this the answer I have been looking for? Is this storytelling really for “dangerous” humans?! I’d say this was a decent first issue, more cute honestly than dangerous but still an entertaining and at the same time, empty read overall. It wasn’t the type of debut that punches me in the gut or anything and honestly I’m not quite sure I will be back for seconds next month. It’s got some sweet art by Nick Derington and some really unique covers to choose from. The story is a bit confusing and wierd, which I assume is on purpose. I mean this is the new hip and quirky Young Animal comic book right? So it better deliver the goods! The story follows a young “quirky” (yeah that word again, I know) EMT named Casey Brinke and her partner as they rush across town in an ambulance to save a man’s life. It’s got an interesting moment where her partner analyzes the possibility of a separate universe happening inside of a gyro he’s eating. There’s also random explosions that happen around Casey who’s for the most part un-phased by the occurrences. There’s then a couple other random characters one hanging out inside of a abandoned building near a pile of bricks and another scene where a man in the woods is playing a keyboard. Then there’s a meeting of business men and women who’re from another planet talking about meat and Robotman being busted up into pieces by a garbage truck. There’s more random stuff that happens as well an I’m sure it will eventually make some sense and i’m probably not cool enuff to get it all. But you get the picture. The book and new DC line is headed by Gerard Way from the band My Chemical Romance, a band I really just can’t stand. I really wasn’t a big fan of his Umbrella Academy either. That being said I could still see this new ‘hip’ Young Animal line of Comics likely taking off, but for me thus far it just isn’t my cup o’ Joe. It might all click later down the line – Sometimes it’s hard to get hooked off of a debut issue & I’d be willing to give the next couple issues a shot, but with the high price of comics I’m sure I could find something else to take a risk on.